Are Chip and PIN terminals fraud-proof? steps can help minimize the risk. When chip and PIN terminals for credit and debit cards were first rolled out in 2005 many believed they would reduce fraud. Previously, cards were verified by means of a magnetic strip or a mechanical impression, and transactions authorised by comparing the customer signature to the one on the back of the card. With chip and PIN terminals technology, the card is verified by an embedded chip, and a code that only the customer knows is used to authorise the transaction. 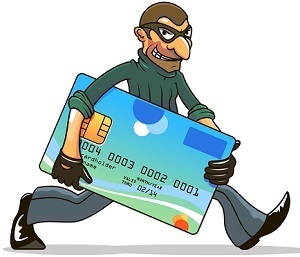 Two examples of potential for theft involve compromised card readers. In one case the fraud allowed for the PIN and magnetic stripe to be copied, so that a cloned version could be used for verification. In the other, the readers would take any code as authorisation for a transaction. The other method is simpler: the criminal attempts to see what PIN a client uses, then later steals the card for their own use. Make sure to check the ID and authorisation of anyone who comes to repair, check, or otherwise interact with your terminals. Don’t be afraid to contact your chip terminal provider before you allow them to work on the machines. Compromised terminals could lead to very serious problems for your business, so it is much better to be safe than sorry. If you notice someone who appears to be standing too close to a customer when they are entering their code, speak up. Politely asking someone to step back until your current customer is finished does not imply rudeness. You might consider making some kind of floor marking or ‘wait here’ sign in order to nip this problem in the bud.